The museum Chácara do Céu, in Santa Teresa, is part of the Castro Maya museums. The other is the Museum do Açude, at the Alto da Boa Vista. Both were founded by the entrepreneur Raymundo Ottoni de Castro Maya, whom's personal archive is the base of the collections in the two museums. The actual construction, created by the architect Wladimir Alves de Souza in 1954 offers a 360º view of the Bay. Raymundo Ottoni de Castro Maya (Paris, France, 1894 - Rio de Janeiro, 1968). Industrialist, Bachelor in Law, patron of the arts, publisher, art collector. Brought up in Rio de Janeiro, Castro Maya, a successful businessman and owner of the Cia. Carioca Industrial, was a defender of the historical, artistic and natural heritage of Rio de Janeiro. An important collector of art in Brazil, between 1920 and 1968, he discovered and acquired almost all of the 22,000 items of his collection, including art works, books and historical documents. This art collection began when his father, the engineer Raymundo de Castro Maya secured canvases by French landscape artists such as Gustave Courbet Louis Bélanger and Henri Rousseau at an auction in Paris at the end of the 19th century. From 1940 to 1960, he acquired paintings, drawings and engravings by various European artists. The european art colection has works from Matisse, Degas, Claude Monet, Pablo Picasso, Salvador Dali, Modigliani, Taunay and Miró, among others. The Brazillian collection has works from Di Cavalcanti, Iberê Camargo, Guignard and the biggest public collection of Cândido Portinari. Other important patrimony is the Brasiliana collection, which includes maps from the XVII and XVIII centuries, and 500 originals of the french painter Jean-Baptiste Debret.The library Castro Maya contains 8.000 titles, and many are first edition! In 1948, Castro Maya played an active role in the foundation of the Museum of Modern Art of Rio de Janeiro MAM, of which he was the first chairman. In 1972, after his death, the Chácara do Céu Museum in Rio was opened to the public, occupying a property which he bequeathed to the Foundation. Now it belongs to the Brazilian Institute of Museums (IBRAM). They usually have different art expositions in the museum. 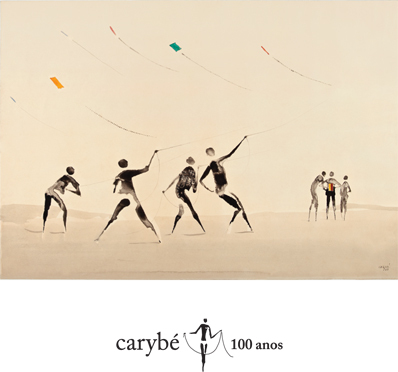 Right now there is a Carybé exposition that celebrates his one hundred anniversary. He was a world famous artist. A painter, illustrator, ceramic artist, and sculptor that was born in Argentina, but chose to be “baiano" (the one who lives in Bahia), the place where he made his home is so strongly represented in his works. He was naturalized Brazilian and was considered the most Brazilian from the Argentinian artists! The museum is open every day except for tuesdays from 12am to 5pm. To get there is very easy, just take the subway to the carioca satation. From there you can either take the cable car to Santa Teresa neighbourhood or take the bus 206 or 214. For both transportations just get off at curvelo station. I'ts a five minute walk. I'm sure you will enjoy it!!! فني تركيب غرف بالرياض يعد رائد في مجال فك وتركيب غرف النوم وغرف أطفال وغرف الجلوس فهي الحل الأمثل لك عميلنا العزيز في أعمال الفك والتركيب وكل ما ترغب به وليس هذا فقط بل حريصون على تقديم السعر الأقل بالسوق السعودي، فأياً كان العمل الذي ترغب به من أفضل فني تركيب غرف بالرياض فتأكد أنه سيتم تقديمه بالخدمة الكاملة وبالسعر الأقل فالتركيب و الفك نقوم به بأفضل سعر و بجودة ليس لها مثيل عند أي فني آخر حيث اننا نعتمد علي خبراء و عمالة مدربة علي أعلى مستوى من الجودة وتستطيع التعامل مع جميع أنواع غرف النوم و الموبيليات و الاثاث. ويعتبر نوع الغرف الصيني من غرف النوم الأكثر طلبا واستخداما فى الرياض لذلك فإن تركيب غرف نوم صيني بالرياض هو الأكثر بحثاً وطلبا وعلى الرغم من كونه الأيسر فى التركيب حيث يأتي مزوداً بكافة المفصلات والمسامير والبراغي التى تحتاج إليها العامل أو المهندسين فى التركيب إلا أن البعض يلجأ إلى الاستعانة بعامل متخصص يقوم بإنجاز العمل المطلوب بدقة أكبر وإحترافيه أعلي مما يساعد على التقليل من فرص الأخطاء أو تلف القطع الصيني ويقوم فني التركيب غرف بالرياض باستخدام مجموعة من الأدوات التى تساعده على إنجاز عمله بكل يسر وتكون هذه الأدوات مستوردة من الخارج لضمان جودتها وكفاءتها اتصل بنا على الأرقام التالية. يعتبر فني مطابخ فك وتركيب وصيانة بالرياض هو الأكثر طلبا إذا ما قارنته بغيره من التخصصات المختلفة، لذلك تعلن الأكاديمية عن فتح باب التعليم فى مجال فني مطابخ فك وتركيب وصيانة بالرياض، حيث تتخصص الدراسة فى أنواع المطابخ المختلفة، والتى تنتشر بشكل كبير فى أرجاء الرياض، كما توضح الأدوات المستخدمة لعمليات الفك والتركيب والصيانة بإحترافيه عالية حتي يتمكن الدارس من إنجاز المهمة التى أمامه بسهولة ويسر دون أي عناء أو مشكلة..
يحتاج فني تركيب مطابخ بالرياض للكثير من الأدوات اللازمة لإتمام عملية التركيب بشكل صحيح، كما يحتاج إلى حقيبة مجهزة بجميع أنواع المسامير والمفصلات لتركيب المطابخ وإصلاح أي مشكلة يمكن أن تكون موجودة فى المطبخ دون الحاجة إلى إنزال المطبخ والذهاب إلى ورشة الصيانة ثم العودة مرة أخرى مما يضيع الكثير من الوقت ويتكلف الكثير من المال، الأمر الذي قد يدفع الكثيرون إلى العزوف عن تركيب مطابخ صيني والاتجاه إلى الأنواع الأخرى المستوردة والجاهزة، لذلك فإن تلك الأمور هي ما تحدد إذا كان فني تركيب مطابخ بالرياض على مستوي احترافي أم أنه مبتدئ بالمجال، قد يفشل فى عملية التركيب أو يتسبب بالكثير من الخسائر التلفيات إذا لما يقم باستخدام الأدوات اللازمة لذلك.